"It's spelled wrong. It's a full typo." Back when she was promoting Brooklyn — the film for which she earned her second Academy Award nomination — Saoirse Ronan did the rounds on the American talk show circuit. It was while she was sat with Stephen Colbert, a man of recent enough Irish ancestry (15 of his 16 great-grandparents were natural-born Irish), that Ronan first leaned in hard to the trope that Irish names are hard to pronounce. Opposite Colbert (who doesn't pronounce the T in his own name for stage purposes), Ronan said of Saoirse: "It's a ridiculous name, it doesn't make any sense." Almost two years later, now promoting Lady Bird and gunning for what is very likely to be her third Academy Award nomination, the 23-year-old Ronan hosted Saturday Night Live. 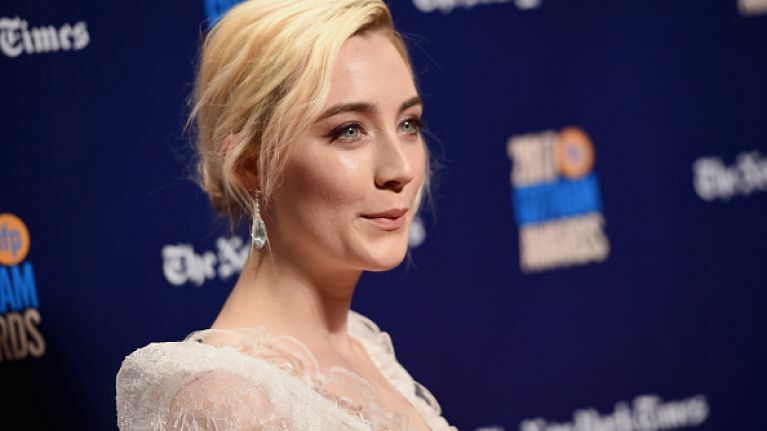 This go around, her opening monologue literally featured a song-and-dance designed to help hold the audience's hand through the apparently inescapable labyrinth that is pronouncing the name "Saoirse." "Saoirse, it's like inertia," is Ronan's favourite way to help addled Americans. Leaving to one side that the way Saoirse Ronan pronounces her first name doesn't actually quite rhyme with the word inertia, let's just talk about this for a second. Is Saoirse actually that hard a word to say? Sure, letters work a little differently depending on the language you use them in but surely once the noise "seer-sha-ro-nan" comes out of the mouth of a talk show host, nobody in the audience needs further explanation of how to replicate that sound. It's not like they're being asked to recite the Fibonacci sequence or every prime number from 2 to 997. Hollywood is a scene that, for all its talk, does a rather poor job of embracing diversity. In fact, such is the ineptitude of Hollywood when it comes to hiring people from different backgrounds that, during a recent Actress Roundtable run by Hollywood Reporter featuring Ronan, Alison Janney, Mary J. Blige, Jessica Chastain and Emma Stone, "nearly everyone attempted their own Ronan impression before the hourlong conversation was over." Of course, that's not offensive behaviour, and nobody is offended by it — but it's a little weird for five grown women (actors, no less — people whose only job is to effectively step into the human soul in different spaces) to take turns giving it their best diddlee-eye. Now let's have it straight. Irish people are not the worst casualties of America's attitudes towards people who are different. Saoirse Ronan is merely Exhibit Ah Lads of a culture that is not ready to be challenged on its preconceived notions on what it means to be anything at all. As such, any opportunity to open up America's mind to what goes on outside of it's soon-to-be-walled-off borders is one to be seized. But Ronan's appearance on Saturday Night Live last weekend saw the American imagination of the Irish nosedive to whole new lows. 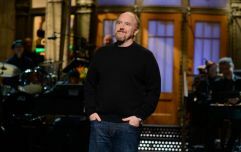 On a show where moments of creative brilliance have always been anchored by cheap laughs, SNL plumbed new depths. Of course, we've long suspected that just about every American actor must have mitched off on the day they taught Irish Accents 101 in drama school. But it wasn't the Oirish on show that most took issue with, it wasn't even that the depiction of Irish people as potato-munching, dog-loving (that's a new one) amadáns. It was that the sketch wasn't even funny. The theme of the sketch is that a plane full of Aer Lingus passengers is sat on a runway waiting for take-off. For three minutes and 53 seconds, viewers at home or online were sat on their arses waiting for a punchline. "We've got a dog on de runway, it's got sad eyes and the soul of Oscar Wilde." "We've got fingerling potatoes, we've got purple potatoes and we've got salmon. Sorry, I misread that, the salmon is also potatoes. "Oh look, Maeve's got her fiddle out." An Irish airline pilot who owns loads of dogs. Between the monologue, and the sketch, and the unrelenting questions about how Irish people behave and speak, Saoirse Ronan has been forcibly nudged into a narrative that utterly belies her skill as an actress. The accolades she has picked up over the course of her still young career should inspire something closer to the breathless reverence reserved for Daniel Day-Lewis rather than demands that she jig and tell Americans that the Gardaí regularly join Irish drinkers during lock-ins. America has been troubled by an Irish woman going against the grain before. Sinead O'Connor was vilified for her SNL stand back in 1992, where she tore up a photo of Pope John Paul II and rejigged the lyrics of Bob Marley's War in order to make a statement about the Catholic church and child abuse. The next week, host Joe Pesci tore up a photo of Sinead O'Connor and told the crowd "She's lucky it wasn't my show. Cause if it was my show, I would have gave her such a smack. I would have grabbed her by her... her eyebrows. I woulda...," and left the violent end of the sentence to the imagination of the audience (who absolutely loved it, by the way.) Saturday Night Live, and America, have long owed her an apology for their response. Saoirse Ronan is not only a brilliant actress, but an exceptional one. If she picks up an Academy Award nomination for Lady Bird, and continues at that rate until the age of 73, she will end her career with no fewer than 18 Oscar nominations. She deserves a lot better than to be held hostage by antiquated American ideas of how Irish people act, and talk, and see themselves. Ronan's talent, like Oscar Wilde's, like Sinead O'Connor's, like so many others', has the potential to rewrite how Ireland is seen by the outside world — but for now, America continues to resist. It's like inertia. WATCH: SNL hilariously deal with the question - "What if Trump was black?"